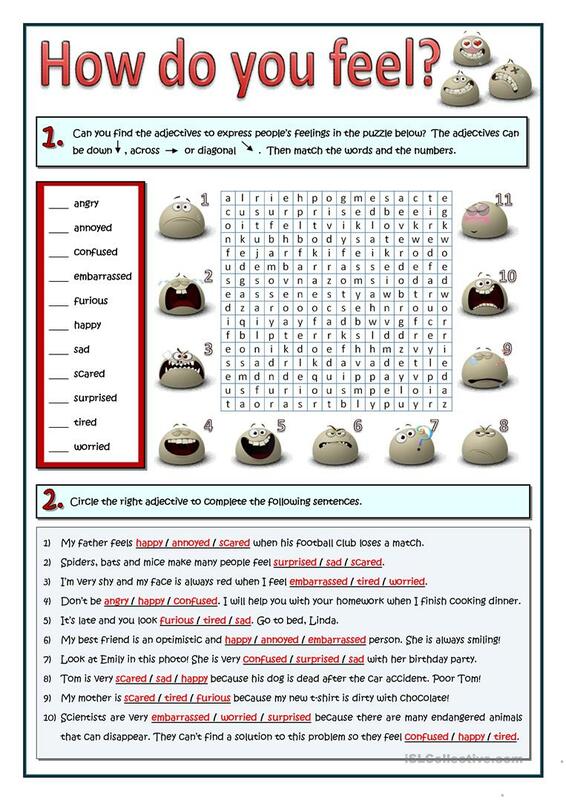 Vocabulary practice related to feelings and emotions. Key provided. 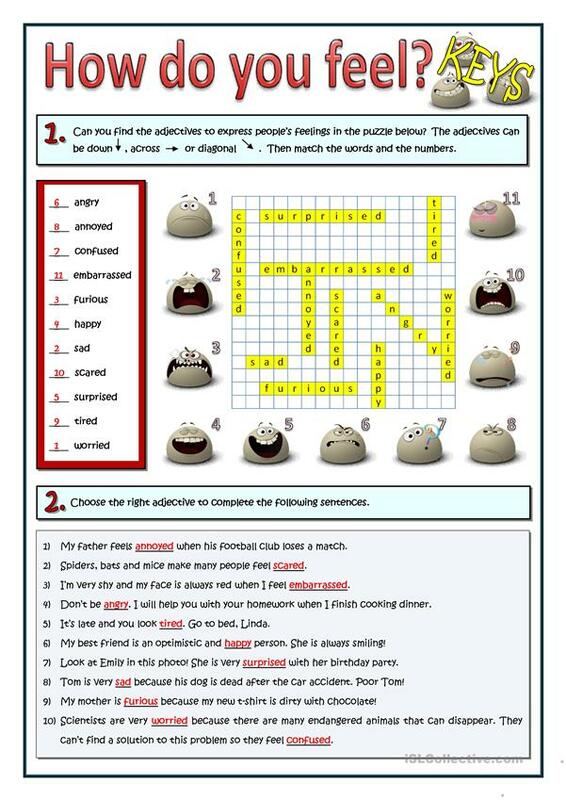 Two exercises: the first one is a wordsearch and the second one is a fill in the gaps using the same words the students must find and match above. This printable, downloadable handout is meant for high school students and adults at Pre-intermediate (A2) level. It is valuable for consolidating Adjectives to describe feelings / mood / tone in English, and can be used for improving your learners' Reading skills. It focuses on the vocabulary topic of Feelings, emotions. The exercises come with answers.